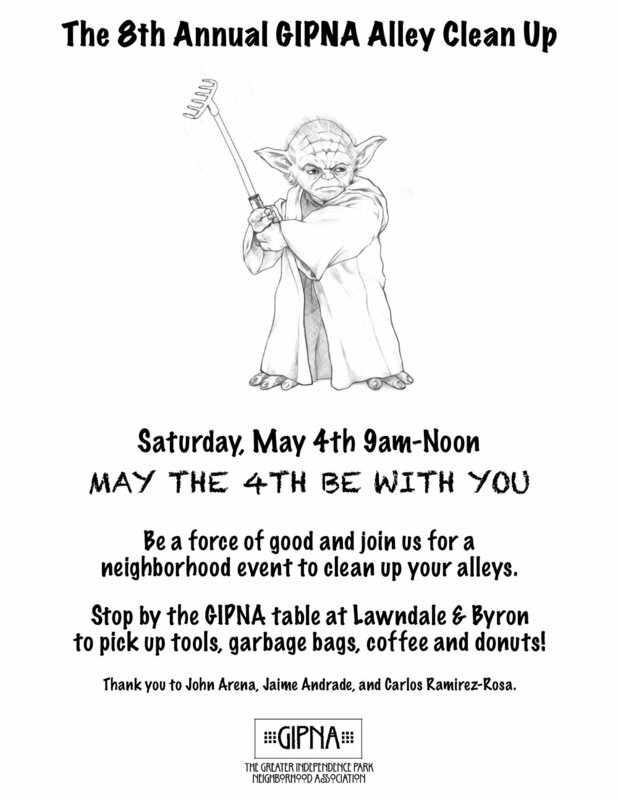 Join your neighbors to clean up the debris and windblown garbage built up over the winter at the GIPNA Annual Alley Cleanup. The GIPNA table will be at the corner of Lawndale & Byron. We’ll supply the coffee, donuts, tools & garbage bags. Contact info@gipna.org for details.